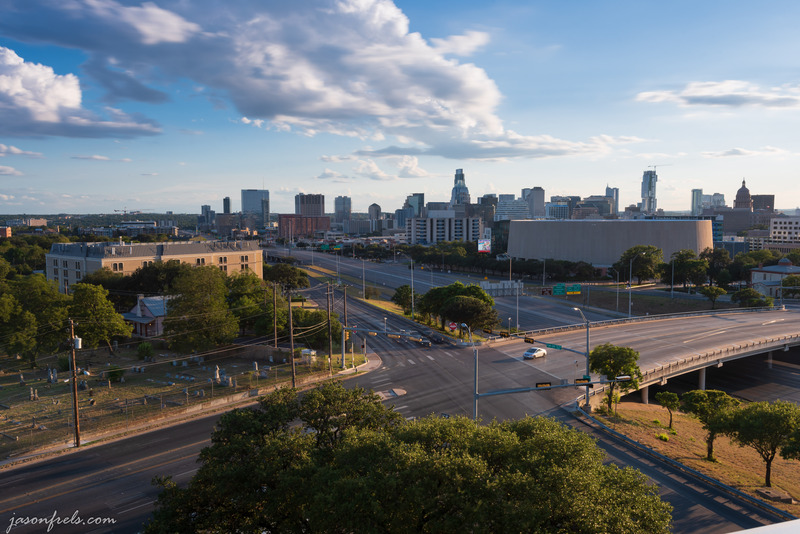 I set up on top of a parking structure across Interstate Highway 35 from downtown Austin for some sunset pictures. While I was waiting, I decided to do an experiment to see if I could clear IH-35 of traffic. IH-35 is one of the major highways that goes North-South through the middle of the United States. On the Southern end is Laredo Texas on the border with Mexico. Going North from there, the highway passes through downtown Austin and then keeps going North to Duluth Minnesota. It is also a major route for transporting goods via tractor-trailer from the border up into the United States. IH-35 in Austin is busy constantly, even in the middle of the night. On a workday morning or evening it is bumper-to-bumper and moving very slowly. As much as I like downtown, I am kind of glad I work North of downtown and don’t have to deal with this every day. I was down there on a Saturday evening and you can see in the picture below that the highway is quite busy with cars and trucks. This is from a parking garage at the University of Texas baseball field across the interstate from the rest of the campus with downtown to the South. I next put on a 10-stop ND filter and took a 30 second photo from the same vantage point. 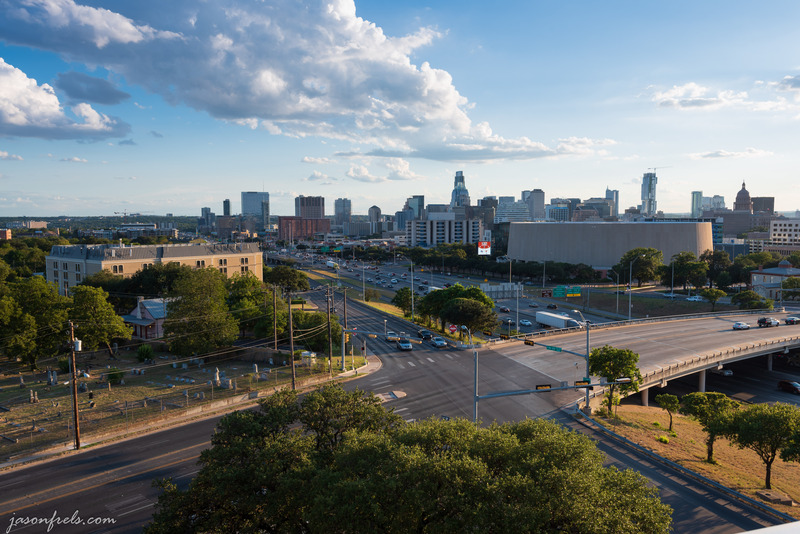 Interstate 35 is now clear and free of traffic. There are a few cars that are stopped at a traffic light in the foreground that show up, but the main highway has all of the traffic blurred away. So, that is a neat trick to clear a busy road in the daytime and it is a lot faster than messing around in Photoshop trying to clone out all of the cars. If you do this at night you get lots of headlight and taillight trails down the highway. More from my sunset effort next time. Thanks for reading.